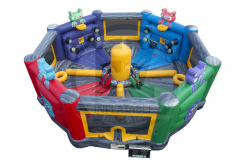 Air Fair Entertainment is your premier stop for all things party rentals in and around New York, and our huge selection of party inflatables is sure to have something for everyone. Take our inflatable rides, a collection of unique inflatables that encourage guests to play in fun, new ways! 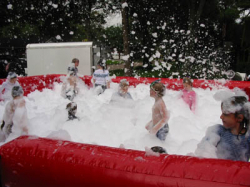 Favorites in this category include the Water Tag Maze, the Foam Machine and Foam Pit Combo, a Human Foosball arena, and the ever-popular Laser Tag Extreme! 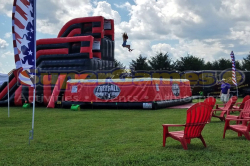 Let us turn your next party or event into something truly special and toss in an inflatable ride from Air Fair Entertainment into the mix! A team of party planning professionals, we do all the heavy lifting for you and are committed to ensuring that your party is a hit! 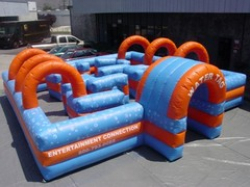 Reserve your inflatable ride today via our online order form.